Up to date knowledge on how this ancient product is created. Regardless of which floor covering product you eventually decide on, it will be constructed or manufactured in some manner. But how ceramic is created is in a world all its own. The process is ancient and the resulting benefits are many and desirable: beauty, durability, practicality and versatility. Ceramic tile is a work of art you walk on -- a spectacular entryway, a refreshing bath/spa surface, a gourmet kitchen’s feast for the eyes. 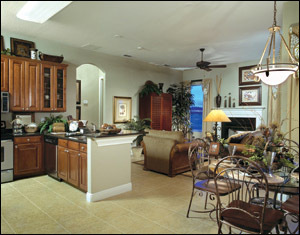 Ceramic tile is art underfoot that you admire as owner and covet as visitor. Understanding how ceramic is made provides you with knowledge of it right from its birth. That’s important information because these are the materials you’ll be living with for years to come should you choose this flooring product. Knowing ceramic construction also helps you better understand and evaluate its performance aspects. You’ll discover why some ceramic products are easier to clean than others; why some are more durable. Plus, understanding how ceramic is made can make you a better shopper, help you determine ceramic flooring value and keep you “in the black” regarding your home improvement budget. So please read on and we’ll help you learn how ceramic is made, cover the various steps involved, discuss alternate types of ceramic, and offer you an easy to understand abrasion rating system. Ceramic production unites earth and fire. The main ingredients of ceramic tile and its general manufacturing process has not changed that much throughout the centuries. All ceramic tiles are created from natural products extracted from the earth that are shaped into tiles and then fired in kilns at extremely high temperatures. A guide to the two classes of ceramic tile. There are 2 main types of tile construction: glazed and unglazed. When you look at a glazed tile from the side you can see 2 layers. The body of the tile, or largest layer, is called the bisque. The top layer is called the glaze, as in glazed donut. Glazed tiles have a hard non-porous, impermeable surface after firing. They are more stain resistant than unglazed tile and are easy to clean. Something to consider for those more active areas of your home like the kitchen and baths. Unglazed tiles add a whole different beauty to your home. They are solid colored all the way through and do not have a top layer of glaze. This is often referred to as through-body construction. 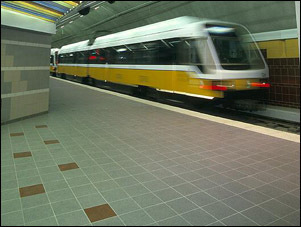 They have no additional surface applications and are typically more dense and durable than glazed tile. Thus they are more suitable for interior and exterior applications where wearability is a concern. If your home has areas of heavy activity or kid “zones,” unglazed tile may be just the answer. There are 5 steps in the ceramic tile manufacturing process: Mining, Blending and Mixing, Pressing, Glazing, and Firing. Step 1 is basic and organic. The process begins with the mining of the raw materials, which is a mixture composed of mostly clay and minerals. Step 2 transforms mud into fine sand. The clay and mineral mixture is blended and mixed into a semi fine powder. Water is added to form a wet slurry or mud-like consistency. Then the slurry is pumped into a large dryer. And the result? A fine clay powder that feels like warm, fine sand. Step 3 sees a form take shape. Next, the clay is pressed or formed into a tile shape. These pressed tiles are called green tiles at this stage. There is also another method called extrusion which can replace the pressing step. Extruded tiles are formed by forcing the clay material through a mold for the desired shaped versus pressing the tile. However, pressing is the more common method used today. And after the green tiles are formed they are dried to remove some of the moisture. Step 4 is the glaze phase. It’s the next step in the manufacturing process for those tiles that will have a glaze. The glaze liquid is prepared from a glass derivative called frit and colored dyes. The glaze is applied by either a high-pressure spray or is poured directly onto the tile. Step 5 really heats things up. The ceramic tiles are now fired in the kiln at temperatures around 2000 degrees Fahrenheit. Tiles that are fired once after the glaze is applied are called monocoturra tile or single fired. The other type is called biocuttura or double fired tile. Biocuturra tiles are first fired after the green tile is dried and then fired again after the glaze is applied. An optional, durable choice is porcelain. Aside from the 2 types of ceramic tile, glazed and unglazed, there is another category that continues to gain popularity – beautiful, elegant, porcelain tile. Porcelain tile is made up of 50% feldspar and is fired at a much higher temperature than regular ceramic tile. This makes porcelain tile much harder and more dense than other tile products. Their high performance and low water absorption ratings of less than 0.5 percent make these tiles a worthy choice for your home. 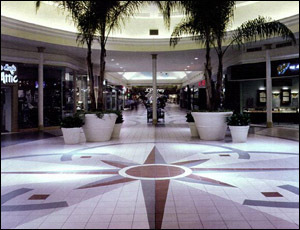 Additionally, porcelain tile can be used for interior and exterior applications as well as heavy or commercial areas. Understand this to be a savvy tile shopper. 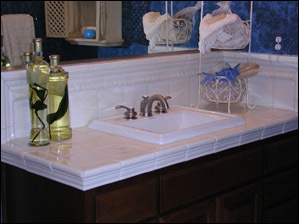 Not all ceramic tile is suitable for each area of your home. The beautiful, decorative tile you might put on your kitchen backsplash may not be recommended for installation on the floor. Most manufacturers have a rating system that is based on or supported by the American Society for Testing & Materials (ASTM). Many times you can find these ratings on the tile sample or in the product catalog. The most common system rates ceramic tile abrasion resistance or the overall durability of the tile. There are 5 classes you should know about. Class 1: no foot traffic. These tiles are suggested for interior wall applications only and not for the floor. These tiles are suggested for interior wall applications and for residential bathroom flooring only. Class 3: light to moderate traffic. These tiles can be used for residential floor and wall applications including bathrooms, kitchens, foyers, dining rooms and family rooms. They’re a good all-around performer. Class 4: moderate to heavy traffic. These tiles are recommended for residential, medium commercial and light industrial floor and wall applications including shopping malls, offices, restaurant dining rooms, showrooms and hallways. Class 5: heavy/extra heavy traffic. These tiles can be installed anywhere. They will hold up in floor and wall applications at airports, supermarkets and subways. Tile doesn’t get any tougher. You may also see a rating for Slip Resistance, which is measured by its Coefficient of Friction (COF). The higher the COF the more slip resistant the tile. 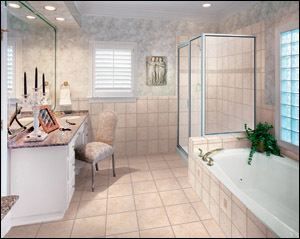 This is important when selecting a floor tile for areas that get wet, such as your shower or bathroom floor. Other ratings listed by the manufacturer might include: scratch resistance, moisture absorption, chemical resistance and breaking strength. This concludes our section on how ceramic is made – its different types of construction, its manufacturing process and how tile is rated in terms of activity. We hope that knowing how ceramic tile is made will help you with the decision on whether it’s made for your home and for your style of living.